Philips is one of the global leaders in the field of patient monitoring. The centralized Philip IntelliVue systems is one of the most advanced technologies in the field. Flexible access to critical physiologic patient data provides advanced clinical decision support, enhancing care and streamlining workflow. 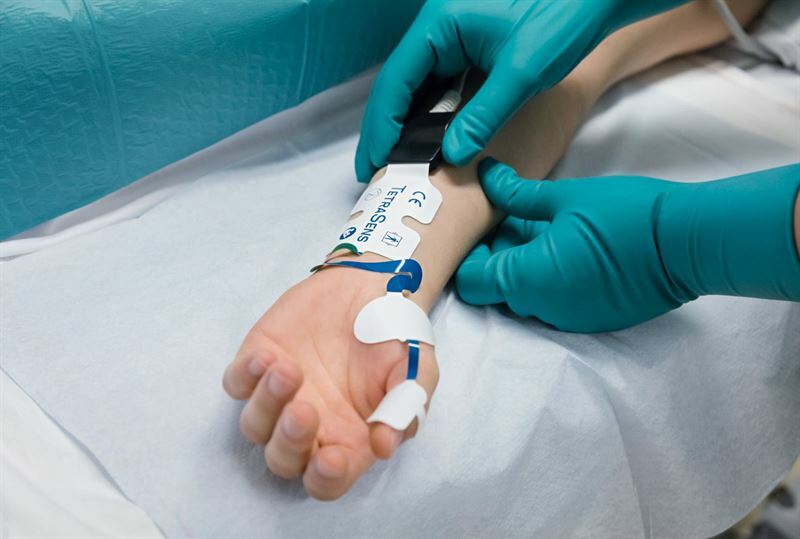 Senzime’s TetraGraph neuromuscular monitor is a unique digital system designed to address the needs of perioperative monitoring of physiologic data in surgical patients receiving general anesthesia and muscle relaxation using neuromuscular blocking drugs (NMBAs). The TetraGraph stimulates a peripheral nerve and measures, analyzes and displays in real-time the muscle function in surgical patients who receive NMBAs as part of their general anesthetic. Interconnected medical devices are valuable resources in the delivery of patient care. This agreement will enable TetraGraph data to be transmitted via a cable to Philips IntelliVue monitors to be displayed together with other critical patient data. The solution will be implemented in 2018. The agreement has an initial term of three years and will automatically renew for subsequent one-year terms unless either party declines to renew it. The agreement is in line with Senzimes corporate strategy seeking alliances with the mayor providers of large central monitoring stations. Integration is conditioned upon local regulatory approvals of TetraGraph. There is no payment or other monetary support from Philips following this agreement. This information is insider information that Senzime AB is obliged to make public pursuant to the EU Market Abuse Regulation. The information was submitted for publication through the agency of the contact person set out above, on January 23, 2018.